I’m no stranger to being surrounded by massive quantity of alcohol. However, just as presentation in cuisine accounts for flavor on the plate, also true is the atmosphere at El Agave in San Diego’s Old Town. 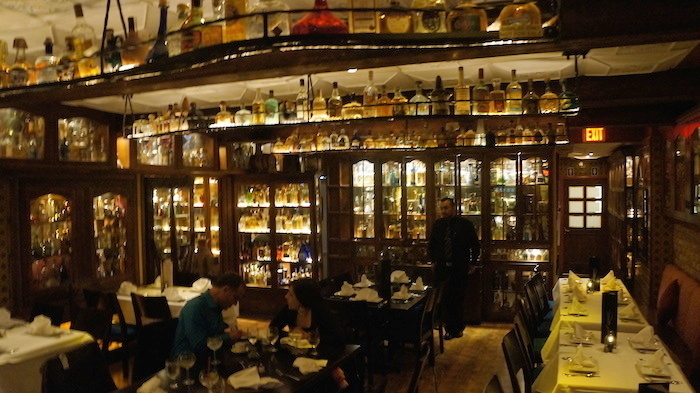 The collection of over 2,000 bottles of tequila wraps itself around this entire quaint establishment and transports patrons to an elegant realm. I’ve graciously been invited by my good friends and fellow journalists James Hills of ManTripping.com and Heather Hills of ChickVacations.com. The Hills’ live in San Diego and count El Agave as one of the most interesting finds for both both the cocktail lovers and foodies. 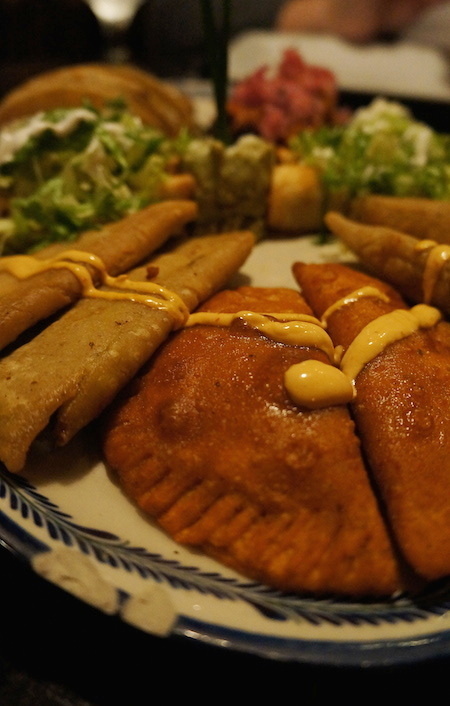 We order a round of the famous El Agave margaritas (recipe below) along with an array of appetizers empanada, quesadillas, taquitos and more. This delicious start prepares us for Course # 2: the El Agave Tequila tasting. 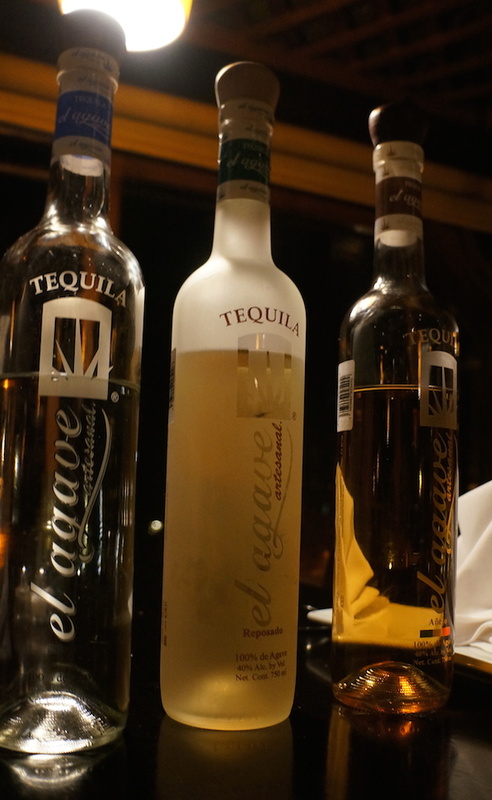 While any tequila you’d want is likely be on the extensive menu at El Agave, the proprietors wanted their own personal selection of El Agave branded tequilas. These privately produced and barrel selections come from a partnership in Jalisco, Mexico. This is a similar concept to the many offerings you’ll taste in the world of whiskey and bourbon that we frequently feature on BourbonBlog.com. The popularity of house offerings with ingredients grown and aged to an establishes specifications. This is the establishment’s way of showing the flavors they love in a tequila. 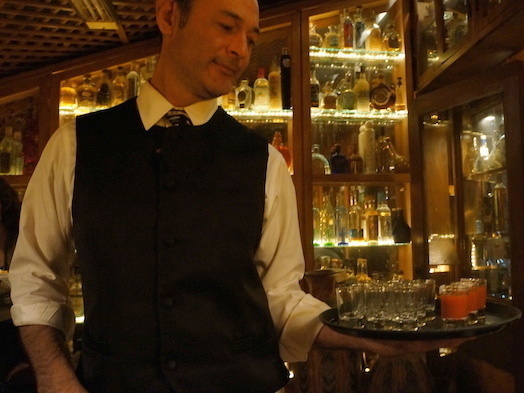 Our server Roberto serves us El Agave’s Blanco, Reposado and Añejo. We are impressed with the complex, yet straight-forward, smooth flavor of these house tequilas. Along with the tequila samples comes a shot of “sangrita” or “little blood.” Sangrita, not to be confused with the wine-based sangria, is a traditional compliment to drinking tequila blanco. 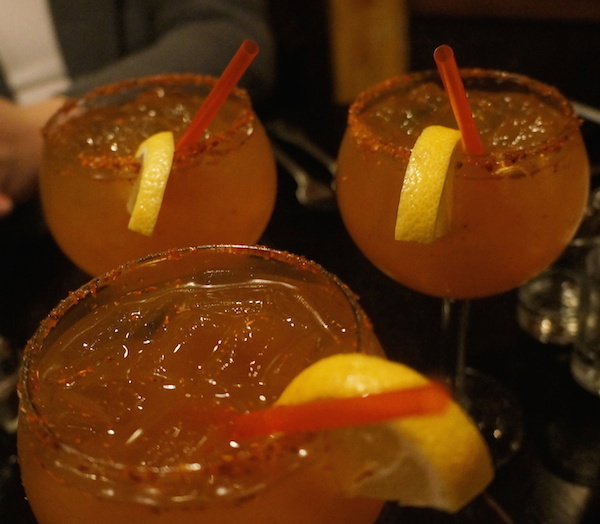 The concoction is typically a mixture of tomato juice, orange, lime, and chili powder that serves to cleanse the palate between tastings as well as highlight tequila’s crisp acidity bringing out the peppery and citrus notes that can be hidden otherwise. 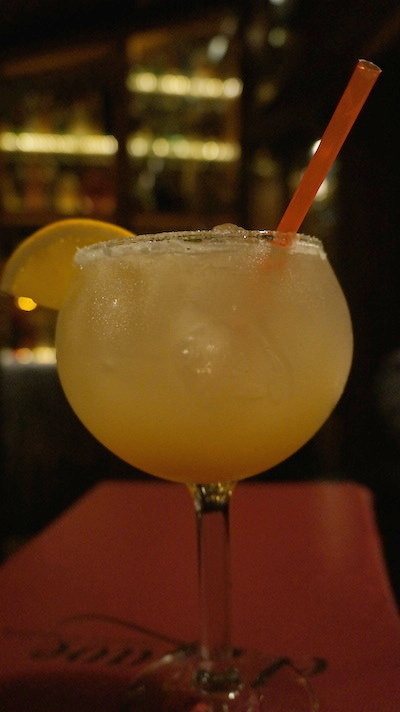 (El Agave’s recipe for sangria is also featured below). Next, a Poblano soup served with cuitlacoche. Cuitlacoche is a corn fungus which happens to be a delicacy in Mexico. It is earthy, mushroom-like seems to adds umami and color to the beautiful green soup. For the entree, I select “Filete Agave,”a filet mignon filled with goat cheese, served with dark tequila sauce with a side of grilled cactus (nopales). El Agave delivers well-thought rustic flavors showing depth in their cuisine, cocktails and complete dining experience.